Developing your own "personal mission statement" can really help you realize what is important in life. Writing your own obituary can achieve the same effect. There is far more to Stephen Covey's book The Seven Habits of Highly Effective People than just a list of seven things you should do. 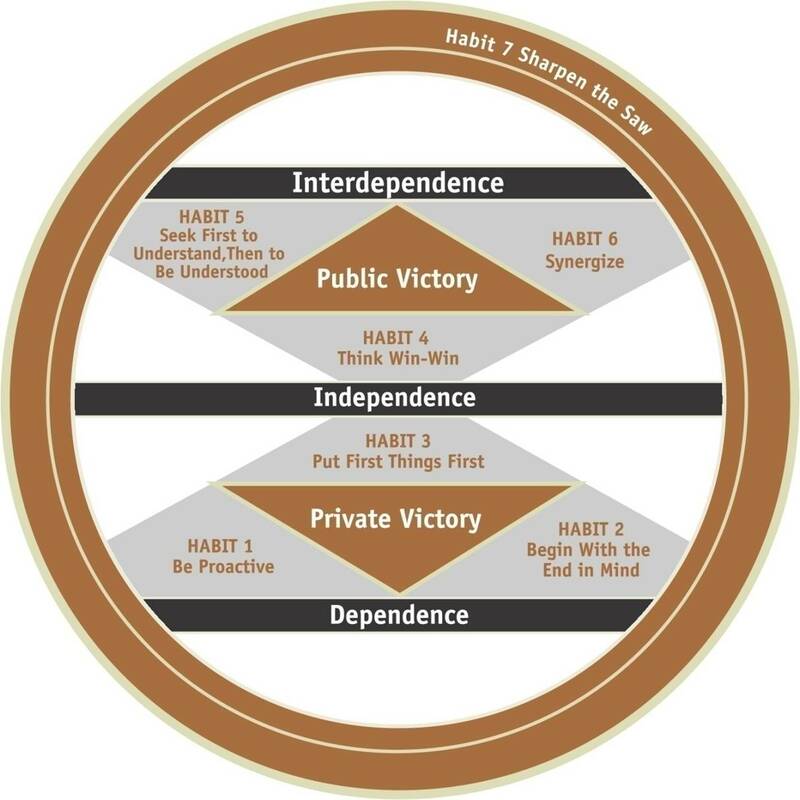 Covey goes back and explains the human journey from dependence to independence to interdependence. Along the way, he provides an excellent discussion of "urgent and important". The book also explains how to write powerful, principle based personal mission statements. It also teaches about production and production capacity in your life. This one is incredibly simple to understand, yet profound in its impact. Some people just wait for whatever life has for them to show up, good or bad. Most effective people act with the assumption that it is up to them to make things happen in their life. Change starts from within, and highly effective people make the decision to improve their lives through the things that they can influence rather than by simply reacting to external forces. Take initiative in life by realizing that your decisions (and how they align with life's principles) are the primary determining factor for effectiveness in your life. Take responsibility for your choices and the subsequent consequences that follow. Change your mind. Think about your thinking. What is important to you? How do you want to be remembered? What do you want your epitaph to read? Develop a principle-centered personal mission statement. Extend the mission statement into long-term goals based on personal principles. Self-discover and clarify your deeply important character values and life goals. Envision the ideal characteristics for each of your various roles and relationships in life. Once you know what is important, you can focus on those things and filter out the rest. Spend time doing what matches your personal mission, observing a balance between production and building production capacity. Identify the key roles that you take on in life, and make time for each of them. Plan, prioritize, and execute your week's tasks based on importance rather than urgency. Evaluate if your efforts exemplify your desired character values, propel you towards goals, and enrich the roles and relationships that were elaborated in Habit 2. Seek agreements and relationships that are mutually beneficial. In cases where a "win/win" deal cannot be achieved, accept the fact that agreeing to make "no deal" may be the best alternative. In developing an organizational culture, be sure to reward win/win behavior among employees and avoid inadvertently rewarding win/lose behavior. Genuinely strive for mutually beneficial solutions or agreements in your relationships. Valuing and respecting people by understanding a "win" for all is ultimately a better long-term resolution than if only one person in the situation had gotten his way. I think this is the most powerful habit. First seek to understand the other person, and only then try to be understood. Stephen Covey presents this habit as the most important principle of interpersonal relations. Effective listening is not simply echoing what the other person has said through the lens of one's own experience. Rather, it is pulling oneself in the perspective of the other person, listening empathically for both feeling and meaning. Use empathetic listening to be genuinely influenced by a person, which compels them to reciprocate the listening and take an open mind to being influenced by you. This creates an atmosphere of caring, respect, and positive problem solving. Through trustful communication, find ways to leverage individual differences to create a whole that is greater than the sum of the parts. Through mutual trust and understanding, one often can solve conflicts and find a better solution than would have been obtained through either person's own solution. Combine the strengths of people through positive teamwork, so as to achieve goals no one person could have done alone. Get the best performance out of a group of people through encouraging meaningful contribution, and modeling inspirational and supportive leadership. This is my favorite habit. Take time out from production to build production capacity through personal renewal of the physical, mental, social/emotional, and spiritual dimensions. Maintain a balance among these dimensions. Balance and renew your resources, energy, and health to create a sustainable, long-term, effective lifestyle.